When it comes to pricing writing services, haggling is a drag. Both writers and clients struggle with fair compensation. The big challenge is this: What should you expect when you pay more? 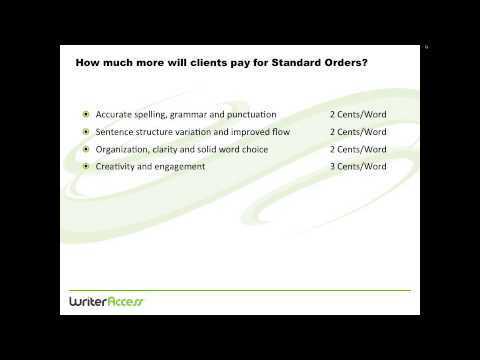 Host Byron White will share the best methods for pricing writing services that vary with quality, complexity and visibility. By registering alone, you'll receive a PDF copy of Byron's new book Professional Writing Skill and Price Guide, offering all the specifics, tactics and examples you need to remove the guesswork when pricing writing services in 2014.